Allergies to dust, pollen and pet hair are a relatively modern phenomenon, some experts have even described allergies as a 21st Century epidemic because the prevalence of allergic disease has risen so dramatically in recent years, most people know at least one family member who suffer from allergy symptoms of some kind. There is no doubt that making a few simple alterations to your home or office can significantly reduce the symptoms of asthma and other allergic reactions. Wooden floors are considerably more hygienic. 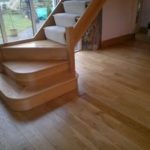 You can simply sweep or vacuum them ,damp mop them as often as you like to ensure they are clean, and unlike carpets where the allergens can hide, wood floors do not harbor allergen causing dust mites, pollen or pet hair therefore reducing the symptoms of asthma and other allergic reactions and your family will enjoy living in a healthier, cleaner environment. 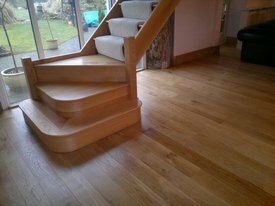 If you have wooden floors that have been hiding under carpets and need a little tender loving care to bring back their natural beauty and would like more information on our floor sanding,restoration and repair service , please contact us today . 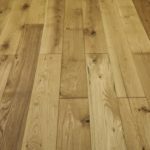 Next Next post: underfloor heating and solid wood flooring? 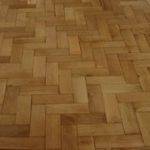 underfloor heating and solid wood flooring?